Incidence rate of ARDS was 35% in patients receiving preadmission oral corticosteroids, 42% in patients not receiving them. In explaining the rationale for the Vanderbilt study, the authors pointed to a recent patient-level meta-analysis showing that early corticosteroid therapy in patients diagnosed with ARDS was associated with fewer deaths, faster reductions in inflammation, and shortened time to unassisted breathing.4 “A logical extension of this line of investigation is whether early corticosteroid administration in at-risk patients might prevent ARDS,” they stated. The research team reviewed the pharmacy records and other medication documentation from 1080 critically ill patients with sepsis participating in the Validating Acute Lung Injury Markers for Diagnosis (VALID) study to identify patients who were using oral corticosteroids at the time of presentation to the hospital. Oral corticosteroids were being received by 165 of the 1080 patients. The 3 top reasons for receipt of oral corticosteroids were a history of solid organ transplant (33%), autoimmune disease (24%), and hematologic malignancy (21%). Statistical analysis of the data showed that within 96 hours of ICU admission, the incidence rate of ARDS was 35% in patients who received preadmission oral corticosteroids and 42% in patients who did not receive them (P =.107). After a multivariable analyses that controlled for prespecified demographic and clinical confounders, no association was found between the receipt of preadmission oral corticosteroids and in-hospital mortality (odds ratio [OR], 1.41; 95% CI, 0.87-2.28; P =.164), ICU length of stay (OR, 0.90; 95% CI, 0.63-1.30; P =.585), or ventilator-free days (OR, 1.06; 95% CI, 0.71-1.57; P =.783). In an interview with Infectious Disease Advisor, Jeffery Lederman MD, chief of infectious diseases at Montefiore New Rochelle Hospital in New York, stated that the study provides a fascinating suggestion that steroids may be helpful for ARDS prevention, but that it is not conclusive. “When steroids would already be indicated, for example for asthma, then of course we would be hopeful that ARDS might also be prevented. For cases where steroids would not be used, I don’t know if the potential benefits would outweigh the known risks, such as infection or hyperglycemia or poor wound healing,” he stated. Dr Lederman was not involved in the study. Disclosures: Dr Ware reports receiving grant funding from the National Institutes of Health National Heart, Lung, and Blood Institute; serving as a consultant with Boehringer, Ingelheim, and Abbot; and receiving funding from Hemocue. Dr Janz, Dr Semler, and Dr Rice report receiving grant funding from the National Heart, Lung, and Blood Institute. Dr Rice also reports receiving funding from GlaxoSmithKline, Avisa Pharma LLC, and Cumberland Pharmaceutical. 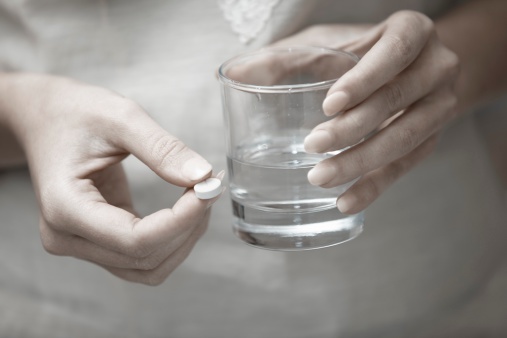 Does Sepsis Risk Increase With Short-term Oral Corticosteroid Use?